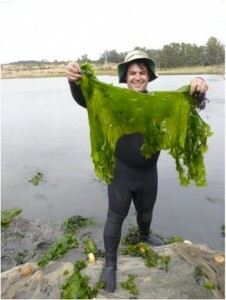 Informing management and restoration – Brent Hughes, Ph.D.
Me with a monster piece of the green alga Ulva spp., which is an indicator of eutrophication. Human land development over the last century has brought about unprecedented change to our coastal environment. This modification has resulted in the widespread loss of critical habitats such as salt marshes and seagrasses. This has occurred both through direct habitat modification, eutrophication, and sea level rise. By losing these important habitats we humans lose the important ecosystem services they provide, such as shoreline protection, carbon sequestration, filtering of contaminants, and provision of habitat for many species of ecological and commercial importance. By informing managers on the processes affecting the function and stability of coastal ecosystems they will better prepared to protect valuable coastal resources. Tide gate in Elkhorn Slough where tidal restriction elevates hypoxic conditions. Photo credit: Kerstin Wasson. My research on water quality in the lower Salinas Valley, considered to be the “salad bowl of the United States”, has revealed alarming levels of nutrients in estuarine waters that are among the highest ever recorded on the planet. The Central Coast Regional Water Quality Control Board has used my research to develop water quality regulations to best protect aquatic resources. The nutrient load in the Elkhorn Slough produces eutrophication, and behind water control structures conditions become hyper-eutrophic leading to severe hypoxic conditions. These results on eutrophication and tidal restriction have informed long-term restoration goals in Elkhorn Slough, as managers ultimately decided to forgo the construction of a sill at the entrance of the estuary that would potentially elevate hypoxic conditions beyond acceptable conditions. Hughes, B.B., J. Haskins , K. Wasson, and E. Watson. 2011. Identifying factors that influence expression of eutrophication in a central California estuary. Marine Ecology Progress Series 439:31-43. Hughes, B.B., Haskins, J., Wasson, K. 2010. Assessment of the effects of nutrient loading in estuarine wetlands of the Elkhorn Slough watershed: a regional eutrophication report card. Elkhorn Slough Technical Report Series 2010:1. Hughes, B.B. 2009. 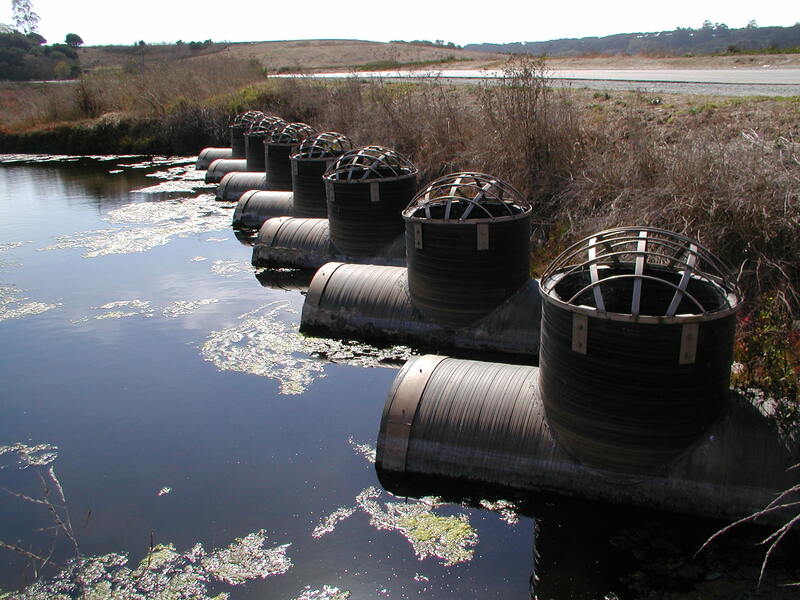 Synthesis for management of eutrophication issues in Elkhorn Slough. Elkhorn Slough Technical Report Series 2009:1. 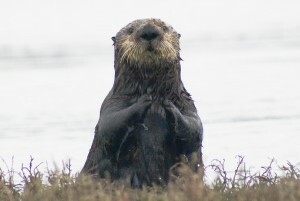 My research on sea otter recovery to estuaries has revealed that they can play important roles in mediating bottom-up drivers, primarily nutrient loading effects on seagrasses. This important finding has brought on new research aimed at determining the role of sea otters on many other ecosystem services. Through my David H. Smith Conservation Fellowship I will be working with partners in academia (Brian Silliman at Duke, Susan Williams at UC Davis, Tim Tinker at UC Santa Cruz), NGOs (Mike Beck at TNC), and management (Lilian Carswell at USFWS) to explore the good and the bad side of sea otter recovery to estuarine systems across their current range from Alaska to California. First, we are testing the hypothesis that sea otters, through their predation on burrowing crabs, can slow down the tidal creek erosion and marsh dieback. 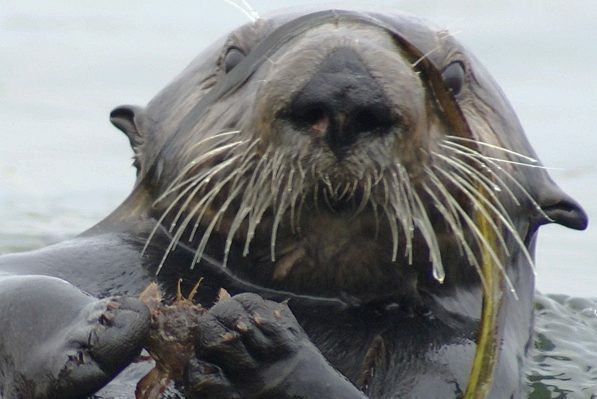 Secondly, through additional funding from California Seagrant, we are partnering with researchers from Moss Landing Marine Labs to test for both top-down effects of sea otters as well as the bottom-up effects of light, nutrients, and sedimentation on seagrass restoration success. There are several other research questions we are exploring, such as the role of restored food webs on invasion resistance, and also otter impacts to aquaculture. Managers of sea otters, namely the U.S. Fish and Wildlife Service, will use results from these studies to make informed decisions about future efforts to expand this threatened population. Here on the west coast of the United States we have been accused of having “estuary envy” of the east coast. Mainly because the east coast has a much longer history of estuarine ecology, and much more expansive and well-studied systems. On the west coast our estuaries are poorly studied leading to a sense of urgency for researchers to determine their important functions. One of those critical functions is the “nursery function”, which has been demonstrated for commercially important species, such as salmonids, flatfish and Dungeness crab. Fisheries and ecosystem managers have been left with a critical information gap regarding the importance of west coast estuaries. Recently, I have been working with the Pacific Marine and Estuarine Fish Habitat Partnership (PMEP), The Nature Conservancy, and an extensive group of academics, managers, and industry stakeholders to develop a State of the Knowledge on the Nursery Function of West Coast Estuaries. Our results have revealed that the number of estuarine nurseries along our coast is much more widespread than previously thought, and that there several stressors associated with climate change, habitat alteration, and eutrophication that threaten the estuarine nursery function on the west coast of the United States. Hughes, B.B., M.D. Levey, M.C. Fountain, A.B. Carlisle, F.P. Chavez, M.G, Gleason. 2015. Climate mediates hypoxic stress on fish diversity and nursery function at the land-sea interface. Proceedings of the National Academy of Sciences USA 112:8025-8030. Hughes, B.B., M. Levey, J. Brown, M. Fountain, A. Carlisle, S. Litvin, W. Heady, M. Gleason, C. Greene. 2014. 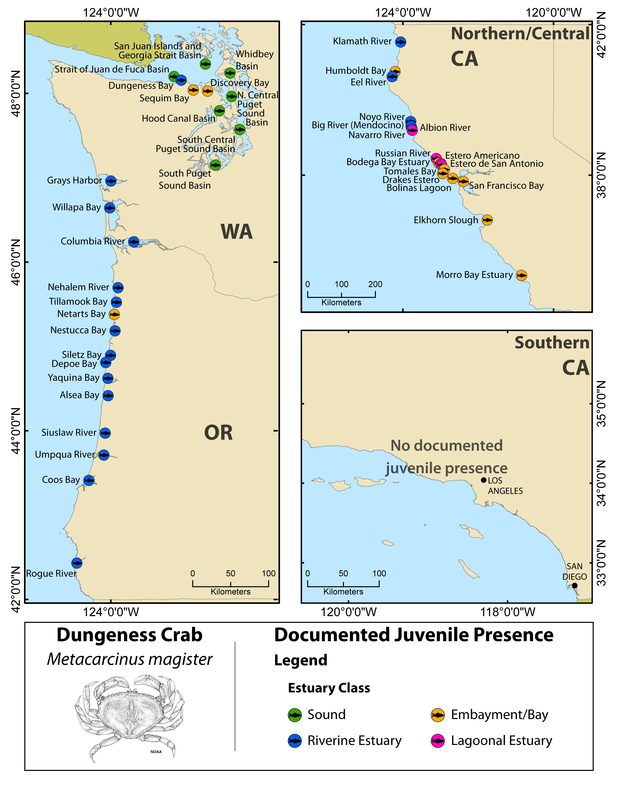 Nursery functions of U.S. west coast estuaries: the state of knowledge for juveniles of focal fish and invertebrate species. The Nature Conservancy, Arlington, VA. 168 pp. Hughes, B.B., M. Fountain, A. Carlisle, M. Levey, M. Gleason. 2012. The impacts of nutrient loading and environmental conditions on the fish assemblage and available nursery habitat in Elkhorn Slough. The Nature Conservancy. Wasson, K., B.B. Hughes, A. Chang, A. Deck, P. Dinnel, S. Dudas, M. Ferner, E. Grosholz, D. Kimbro, J. Ruesink, A. Trimble, D. Vander Schaaf, C. Zabin, D. Zacherl. 2016. Coastwide recruitment of Olympia oysters: spatial scales of synchrony and predictors of recruitment failure. In press. Ecology.